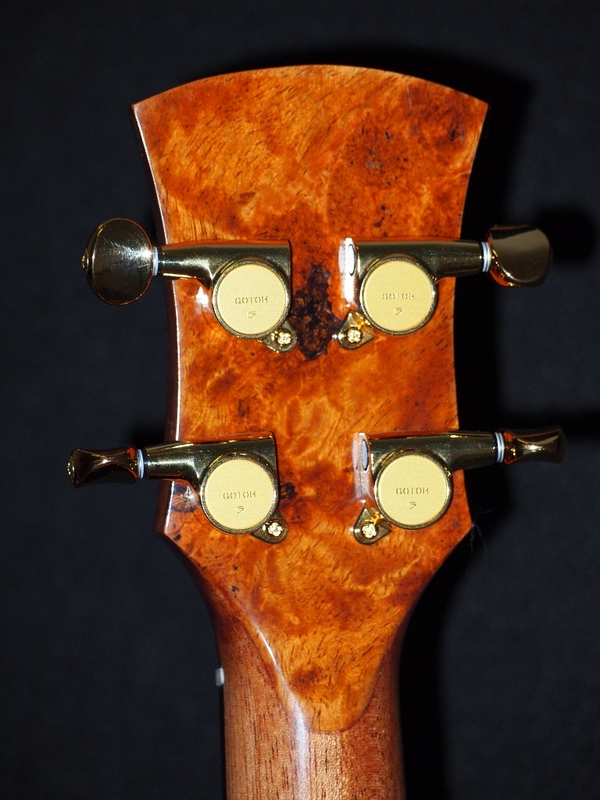 Suzie wanted a baritone, then Craig, and now Don. 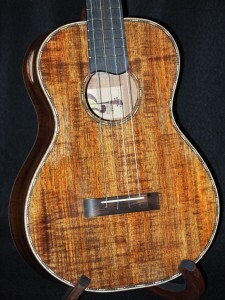 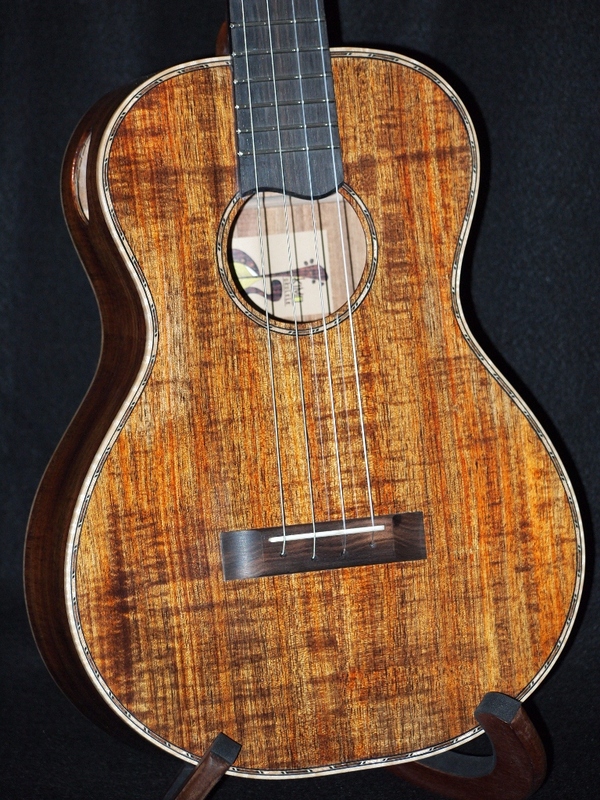 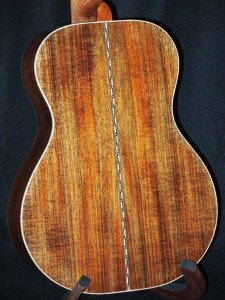 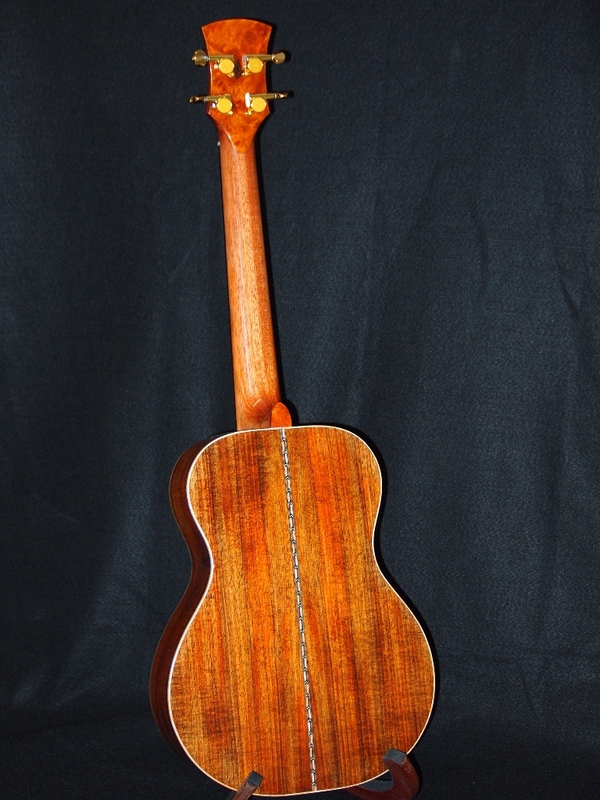 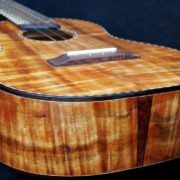 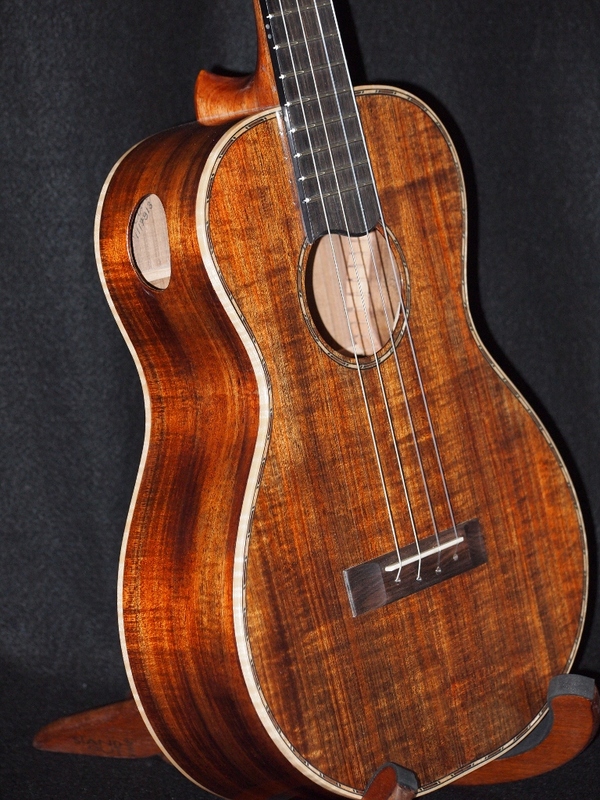 This baritone ukulele is constructed of Tasmanian Blackwood. 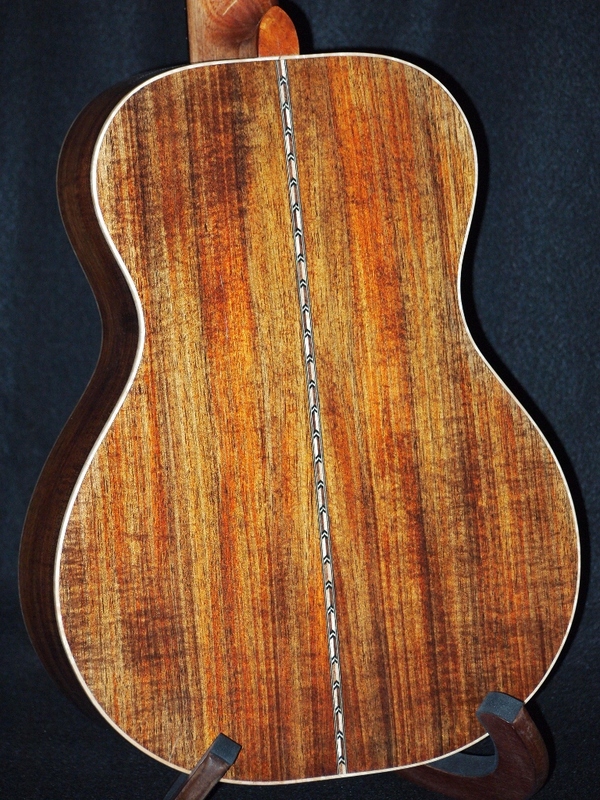 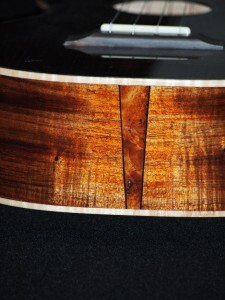 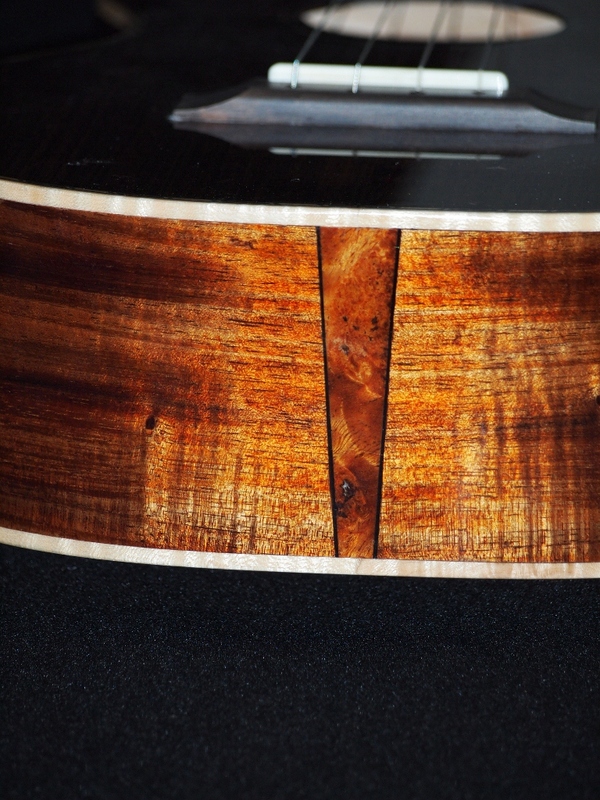 Binding is Oregon curly Maple and it sports vintage purfling and chevron backstrip. I upgraded the tuners to Gotoh Mini’s. 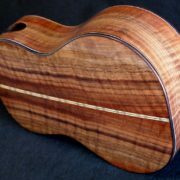 Accents are Indonesian Maidou Burl. 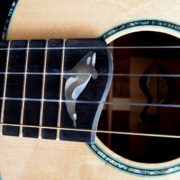 After some string changes I decided on a high tension combination of D’Addario and PHD Fluorocarbon–a lot of punch and very precise. Hope you like it. 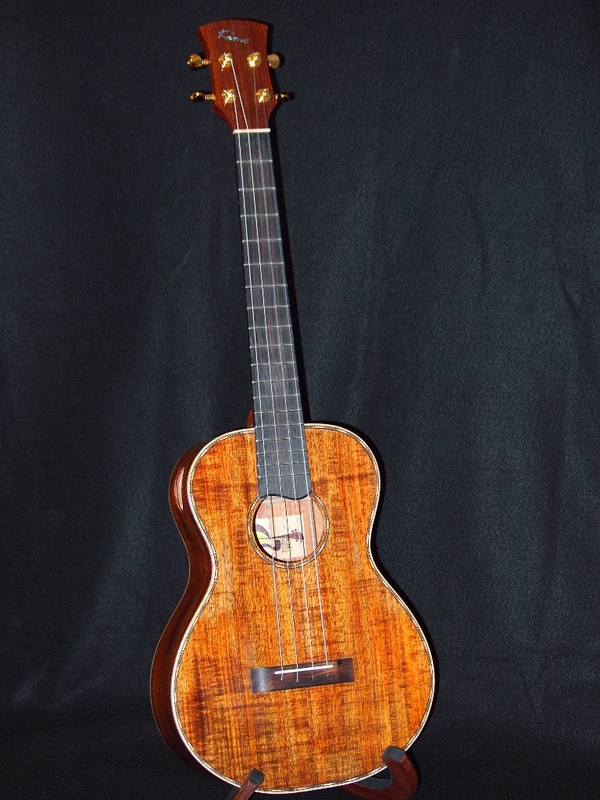 New Year-New Baritone Curly Curly!